OK this little van has a strong chassis [4''x2'' Rhs full lenght] & an ALCO indepedent axle,,, I lifted it a bit ,Added extra big water tank ,12v pressure-pump, 120AH battery,120Watt solar panel ,195x14'' light truck tyres. 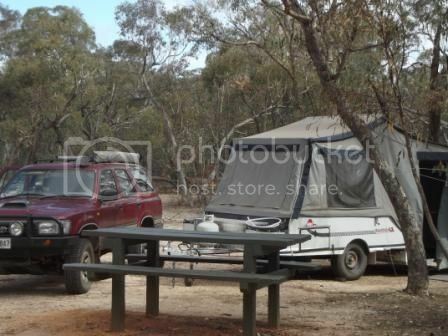 THIS is great for Free camping..
mallee00 and Mr Young like this. 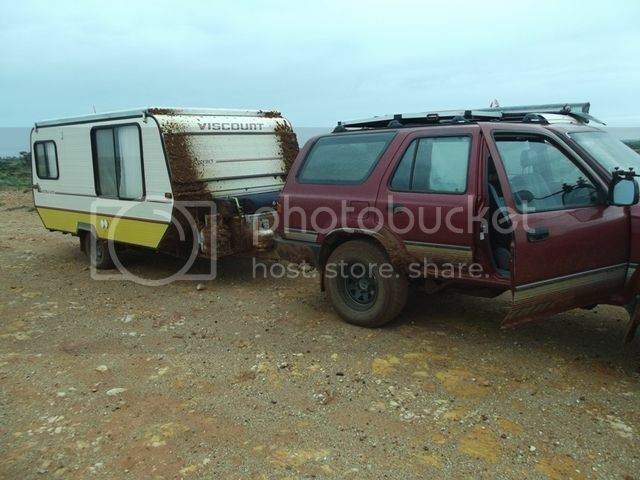 OK GOT IT NOW ..
HI ALL ,This is my Gold prospecting ride ,,MY 74 4 runner & caravan after a muddy trip from Tibooburra to White cliffs NSW..
See on the page where it says "Share this photo" where it has Email & IM, Direct, HTML, and IMG all you need to do is copy the entry that says IMG and paste it into your post. Nice setup. Glad i'm not the one that has to clean it. Drop by fabricator's house, he'll clean it up for you. HI T/F/GONE Yes it was a muddy trip ,had to stop several times to clean mud from wheel wells on caravan ,we we lucky to get through! !,Could not afford to stop other wise we would have been stuck for days..
More pics to come Now I have it working..
HI ALL ,This was my self decked out toyota coaster Did many interstate trips ,But got into Metal detecting & needed off road capability ,hence The 4 runner which I bought from my son & fitted a buick v6 into it ,Its a great cheap 4WD. HI T/F/GONE,, YEAH bring on the Gold Ha.haaar. well not much luck on the gold so far but If you don't lookfor it you cannot find it..
WELL you are right I spend about $90.00 a week on Tobacco & the vape once all set up will cost much much less.. 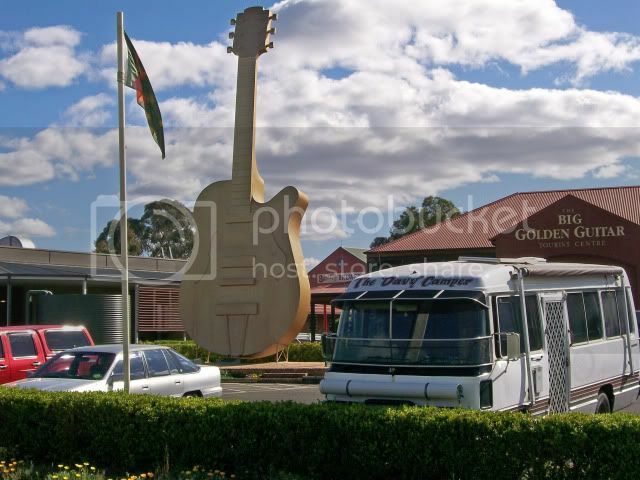 YES I tried this camper for a 3 week trip to Vic gold fields ,But did not like the hassle to erect it for overnight free camps .. I have modified the Little van with storage Alloy boxes front & rear ,all 12volt Etc Solar panel etc etc ,Lifted it for more ground clearance ,Soi it good to go off road etc.. Weekend trips I just use a tent, any longer I drag our van up though it is a bit big to get to a lot of places.